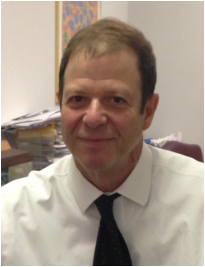 David M. Goldberg received his undergraduate degree form State University of New York at Binghamton and his doctorate degree from The New England College of Optometry in 1978. Dr. Goldberg began his private practice of Optometry in Alexandria in 1979 and opened A Brighter Image in Dupont Circle, Washington D.C. in 1983. He has extensive experience in general optometry and specializes in contact lenses. Dr. Goldberg enjoys working with challenging contact lens patients and often provides creative solutions to their problems. He has also served on the Board of Optometry for the District of Columbia. Dr. Goldberg lives in Washington D.C. with his wife Kathi. Their two sons, Evan and Adam, now work as opticians at A Brighter Image. This second generation, together with the experienced staff at both offices, ensure many more years of excellent service for our patients' eye care needs. Dr. Robert W. Stetekluh has been an Arlington resident for fifty years. He graduated from Wakfield High School in 1977. He received a BS in Physics in 1981 and a Doctorate of Optometry in 1985 from Pennsylvania College of Optometry. He has been practicing Optometry in the Northern Virginia area for over 30 years. Dr. Stetekluh has ample experience in general optometry as well as evaluating glaucoma, cataracts and retinal diseases such as macular degeneration, diabetic and hypertensive retinopathy and retinal detachments. A therapeutic certification all gives Dr. Stetekluh the privilege to treat certain eye disorders such as conjuctiveitis, allergies, corneal ulcers, inflammations, and foreign body removal. Dr. Stetekluh likes to travel. He enjoys the outdoors, hiking, biking, basketball, and swimming. He gives back to the community by being a frequent blood donor at the American Red Cross.